Getting to know Frank Magdaleno. What Frank's Clients are Saying. Frank Magdeleno did a awesome job finding our new home. With his experience and knowledge we closed escrow in record time! Thanks Frank! Frank did a tremendous job of helping me and my wife navigate the home buying process. He was extremely accommodating to our hectic schedules, and really helped coordinate the entire process from start to finish. It was important for my family to work with somebody who wasn't trying to rush us into a home quickly (as we had flexibility), and Frank proved to be really patient as we looked at numerous homes in a variety of areas. Frank also worked really well with the sellers agent which helped win the deal in a pretty competitive environment. We have no reservations in recommending Frank to friends and family in the future. I purchased my first home through Frank, so I can testify to just how knowledgeable, available and helpful he is. It goes without saying that as a first time buyer I had a TON of questions--even with the availability of info online, there is just too much to learn without the help of a pro. Frank could answer all of my questions, and would point me in the right direction when I needed to confirm details with my broker, escrow, etc. His wide-ranging real estate experience was valuable to me, and I'm sure benefits each of his clients. The thing I appreciated most was that Frank would always give me a heads up about what was coming next. I hate surprises, and I want to know exactly what's needed from me and by when, so this was a great quality! To top it off, Frank is an honest, friendly and generally awesome guy, so I'd have no hesitation in recommending him to friends or family. It is so hard to find a real estate agent that is both thoughtful and patient. Buying a home can be quite the roller coaster ride, and it is so helpful to have someone reliable and not in a hurry. In this market you go through many potential homes before succeeding. Whenever we needed to research a house or strategize the right offer, he was willing to think through the details with us. When we finally succeeded in buying a home, it was because Frank was willing to think outside the box and put in the offer it took to win. He stayed in close touch with the selling agent and over several days was able to pick their brain and glean useful bits of information that were crucial to successful purchase. My husband and I can't recommend Frank enough. It was surely a bit of luck that we ended up working with him. When we decided to sell our house, we needed someone who would be reliable. Someone who would has our best interest in mind,who was knowledgeable and would be able to navigate through all the unforeseen situations that come up. Someone who is patient and is available . Frank was all of the above. Frank's advice on how to price our house was dead on. This made selling our house so easy. The house went on the market on a Thursday and we had three sold offers three days later. Frank's advice when trying to decide which of the offers made more since proved invaluable . Frank stayed onto of the whole processes and kept us informed at every turn. Frank helped us out soo much!! I looked for 6 months for a place and was running out of time. Frank was patient with me knowing my husband and I were looking for something very specific and couldn't settle too much. He was always there to answer all of my questions. We ended up moving really close to Christmas and with us both working full time we didn't have a whole lot of time to mess around with paperwork. Frank did what he could to minimize what we had to do. Thank you so much Frank!! This was our second home purchase and we were looking for our forever home. Frank did a great job at getting us into seeing homes and he was always available. He gave great advice and was very patient with us. He helped us navigate though the whole buying process. In addition to helping us find a home, Frank also helped us sell our condo and rent our first home all at the same time. He took care of all the details. He helped make this transition less stressful for our family. I would totally recommend Frank to anyone looking for a realtor. Frank is the best. First of all, our offer was accepted over all offers to buy our condo based on his recommendations. Then, throughout the process, he was there for us and our concerns, even anticipating what those might be. We love our condo. Thanks Frank! My husband & I recently bought an investment property and Frank represented us. We knew that we had to get the right agent to represent us in this competitive market as many offers nowadays are cash offers. The entire process was very easy since Frank was on top of his game. We didn't have to contact him for updates from the seller because he kept us informed with the status. Also, he was in communication with our lender as well to understand what needed to be done. Overall, we're really happy that we went with Frank because he helped us get the property at the price we wanted without having to go back and forth negotiating with the seller. Frank even fought for us and got repair credits from the seller. It was definitely a cherry on top of the deal. 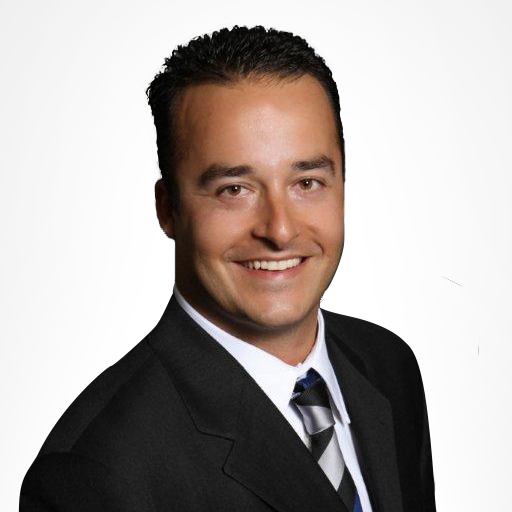 We would definitely use Frank again and recommend him to anyone who's looking for a reliable realtor. Frank is Awesome! He worked hard for us and provided honest and accurate information throughout the process. Thank you Frank!!! A Selection of Frank's Recent Sales.